Holy Saturday or often referred to as Black Saturday in Hong Kong is the day after Good Friday and the day before Easter Sunday. 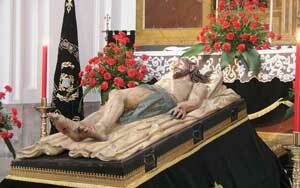 This day commemorates the day that Jesus Christ lay in his tomb prior to his resurrection on Easter Sunday. This day is a national holiday with some government and businesses closed. Holy Saturday is the last day of Holy Week and end the lent season.